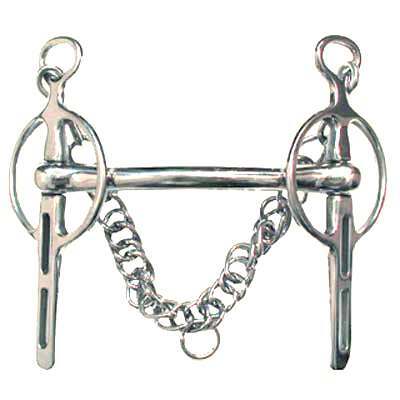 Not only are these Low Port Horse Bit made of high quality Solid Stainless Steel they will also provide maximum comfort for you and your horse. We offer the lowest prices on Driving Bits and many other Horse Tack products. This Low Port Bit is made with an elegant, simple yet a very modern style design and it is one of our most popular driving bits. This item comes in either German or pure Solid Stainless Steel. At HorseTackNow we only offer the best horse bits and horse tack available at discount prices. Each and every one of our products is on sale now.